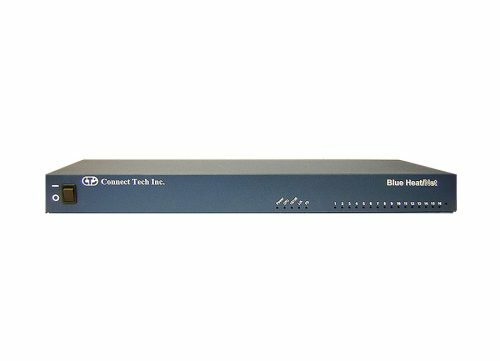 Blue Heat/Net 4 or 8 - Connect Tech Inc. Flexible: Four or eight RS-232 or software selectable RS-232/422/485 ports with independent port configuration. 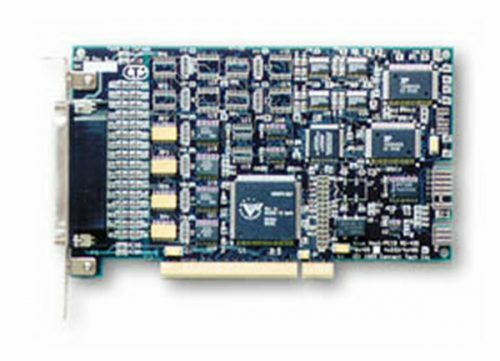 RS-485 models feature software selectable bias and termination. 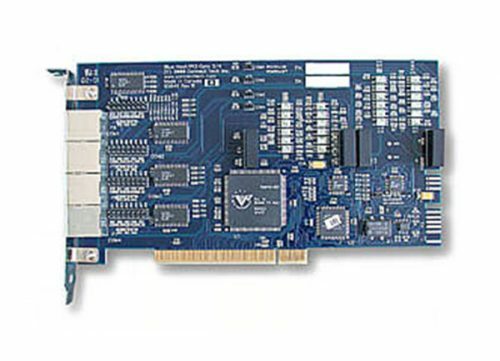 Performance: Built around a 32 bit, 66MHz ColdFire CPU featuring 16MB SDRAM, 2MB or 4MB Flash and a Linux core. Power: Flexible power options on select models include 5-30V DC power input or an external AC power adapter. 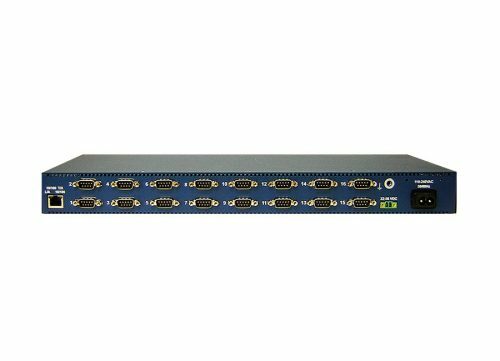 Rackmount: Select four and eight port DB-9 Blue Heat/Net models feature an optional 19″ 1U rack mount kit. Network enable all your serial devices with the Blue Heat/Net Ethernet-to-serial device. Our four and eight port RS-232 or software selectable RS-232/422/485 models enable you to locate COM ports exactly where you want them, eliminating the need for a dedicated, physical PC connection. Remotely control your serial peripherals from any workstation connected to your Ethernet LAN or via the internet. This Ethernet-to-serial device helps you cut equipment costs, while eliminating the time required to maintain and collect information from individual workstations or out in the field. 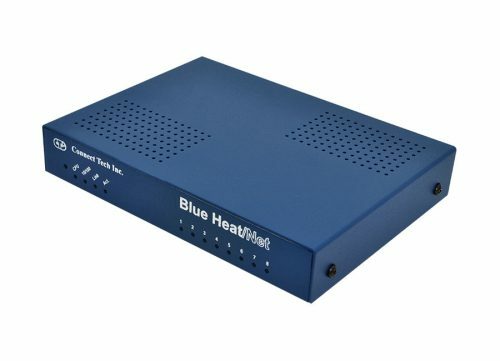 The Blue Heat/Net Ethernet-to-serial device can be configured and controlled via serial interface, or remotely via Telnet or web-based HTTP. Blue Heat/Net includes an auto-sensing 10/100 LAN interface, and features baud rates up to 460.8 Kbps per port. Each port is independently configurable, and software customization is a breeze. Based on the uClinux embedded operating system, the Blue Heat/Net offers programmers a familiar Linux API. Connect Tech includes a full range of open source development tools via its free Software Development Kit. 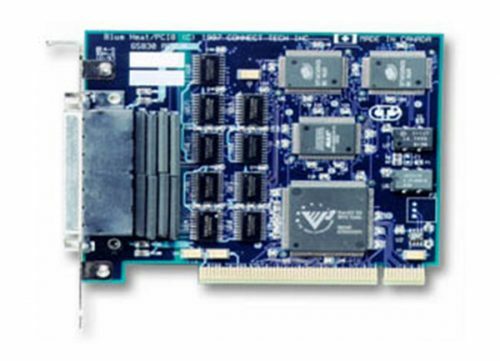 You can create customized protocols and download them directly to the on-board Flash memory, making the Blue Heat/Net one of the most flexible Ethernet-to-serial products on the market. 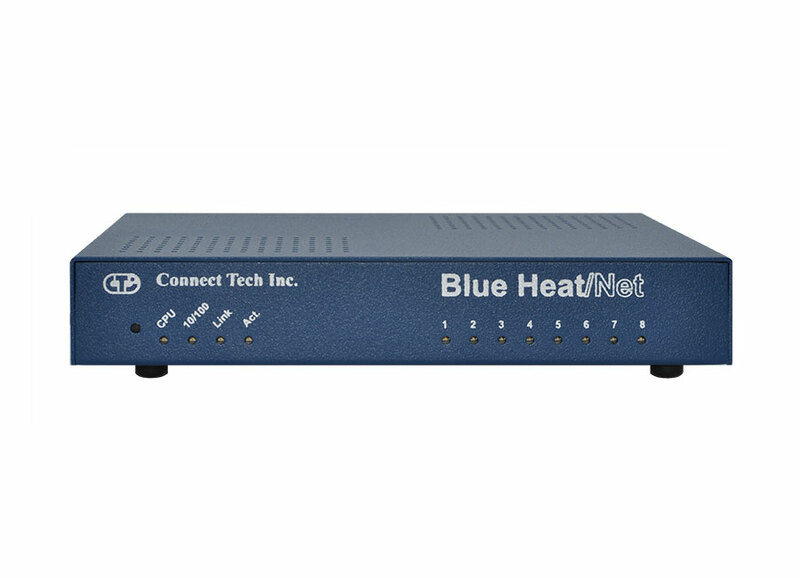 All Blue Heat/Net four and eight port DB-9 models are UL Listed and IECEE certified. Link to CB Scheme. Industrial protocol, Power over Ethernet (PoE) and industrial temperature grade Ethernet-to-serial option models also available. BNG004 RS-232 8 ports No Cable 230400 bps This Blue Heat/Net includes surge suppression. RoHS compliant. BNG004-01 RS-232 8 ports CBG006 230400 bps This Blue Heat/Net bundle includes: One BNG004 Blue Heat/Net 8 port adapter; one CBG006 6 foot CAT5 RJ-45 cable; one CBG005 RJ-45 to DB-9F converter; and one MSG003 power supply for United States/Canada. RoHS compliant. BNG004-02 RS-232 8 ports CBG006 230400 bps This Blue Heat/Net bundle includes: One BNG004 Blue Heat/Net 8 port adapter; one CBG006 6 foot CAT5 RJ-45 cable; one CBG005 RJ-45 to DB-9F converter; and one MSG004 power supply for the United Kingdom. RoHS compliant. BNG004-03 RS-232 8 ports CBG006 230400 bps This Blue Heat/Net bundle includes: One BNG004 Blue Heat/Net 8 port adapter; one CBG006 6 foot CAT5 RJ-45 cable; one CBG005 RJ-45 to DB-9F converter; and one MSG005 power supply for the European Union. RoHS compliant. BNG004-04 RS-232 8 ports CBG006 230400 bps This Blue Heat/Net bundle includes: One BNG004 Blue Heat/Net 8 port adapter; one CBG006 6 foot CAT5 RJ-45 cable; one CBG005 RJ-45 to DB-9F converter; and one MSG007 universal power supply with line cord. RoHS compliant. BNG006 RS-232/422/485 4 ports No Cable 230400 bps This Blue Heat/Net includes surge suppression. RoHS compliant. BNG006-01 RS-232/422/485 4 ports CBG006 230400 bps This Blue Heat/Net bundle includes: One BNG006 Blue Heat/Net 4 port adapter; one CBG006 6 foot CAT5 RJ-45 cable; and one MSG007 universal power supply with line cord. RoHS compliant. BNG008 RS-232/422/485 8 ports No Cable 230400 / 460800 bps (232/485) This Blue Heat/Net includes surge suppression. RoHS compliant. 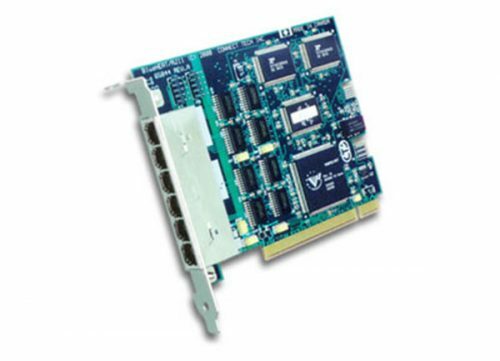 BNG008-01 RS-232/422/485 8 ports CBG006 230400 / 460800 bps (232/485) This Blue Heat/Net bundle includes one BNG008 Blue Heat/Net 8 port adapter; one CBG006 6 foot CAT5 RJ-45 cable; and one MSG007 universal power supply with line cord. RoHS compliant. 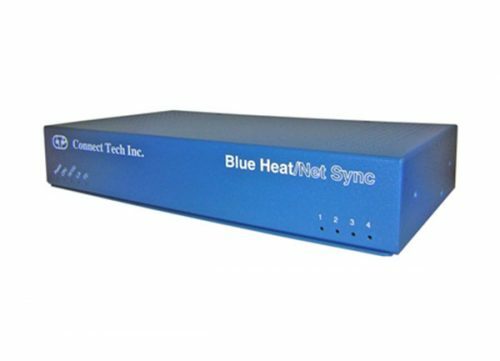 BNG008-02 RS-232/422/485 8 ports CBG006 230400 / 460800 bps (232/485) This Blue Heat/Net bundle includes: One BNG008 Blue Heat/Net 8 port adapter; one CBG006 6 foot CAT5 RJ-45 cable; one MSG007 universal power supply; and one MSG029 rack mount kit. RoHS compliant. BN002 RS-232 4 ports No Cable 230400 bps This Blue Heat/Net includes surge suppression. BN002-01 RS-232 4 ports CB006 230400 bps This Blue Heat/Net bundle includes: One BN002 Blue Heat/Net 4 port adapter; one CB006 6 foot CAT5 RJ-45 cable; one CBG005 RJ-45 to DB-9F converter; and one MS003 power supply for United States and Canada. BN002-04 RS-232 4 ports CB006 230400 bps This Blue Heat/Net bundle includes: One BN004 Blue Heat/Net 8 port adapter; one CB006 6 foot CAT5 RJ-45 cable; one CBG005 RJ-45 to DB-9F converter; and one MS006 power supply for Australia/New Zealand. BN004 RS-232 8 ports No Cable 230400 bps This Blue Heat/Net includes surge suppression. BN004-01 RS-232 8 ports CBG006 230400 bps This Blue Heat/Net bundle includes one BN004 Blue Heat/Net 8 port adapter; one CBG006 6 foot CAT5 RJ-45 cable; and one MSG003 power supply for United States/Canada. BN004-03 RS-232 8 ports CB006 230400 bps This Blue Heat/Net bundle includes: One BN004 Blue Heat/Net 8 port adapter; one CB006 6 foot CAT5 RJ-45 cable; one CBG005 RJ-45 to DB-9F converter; and one MSG005 power supply for the European Union. BN004-04 RS-232 8 ports CB006 230400 bps This Blue Heat/Net bundle includes: One BN004 Blue Heat/Net 8 port adapter; one CB006 6 foot CAT5 RJ-45 cable; one CBG005 RJ-45 to DB-9F converter; and one MS006 power supply for Australia/New Zealand. BN006 RS-232/422/485 4 ports No Cable 230400 / 460800 bps (232/485) This Blue Heat/Net includes surge suppression. BN006-01 RS-232/422/485 4 ports CBG006 230400 / 460800 bps (232/485) This Blue Heat/Net bundle includes one BN006 Blue Heat/Net 4 port adapter; one CBG006 6 foot CAT5 RJ-45 cable; and one MSG007 universal power supply with line cord. BN008 RS-232/422/485 8 ports No Cable 230400 / 460800 bps (232/485) This Blue Heat/Net includes surge suppression. 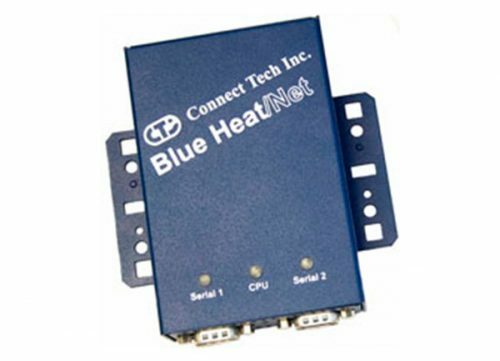 BN008-01 RS-232/422/485 8 ports CBG006 230400 / 460800 bps (232/485) This Blue Heat/Net bundle includes one BN008 Blue Heat/Net 8 port adapter; one CBG006 6 foot CAT5 RJ-45 cable; and one MSG007 universal power supply with line cord. BNG004 Blue Heat/Net, RS-232 with 8 ports. Includes surge suppression. RoHS compliant. BNG006 Blue Heat/Net, RS-232/422/485 with 4 ports. Includes surge supression. RoHS compliant. BNG008 Blue Heat/Net, RS-232/422/485 with 8 ports. Includes surge suppression. RoHS compliant. BN002 Blue Heat/Net, RS-232 with 4 ports. Includes surge suppression. BN004 Blue Heat/Net, RS-232 with 8 ports. Includes surge suppression. BN006 Blue Heat/Net, RS-232/422/485 with 4 ports. Includes surge supression. BN008 Blue Heat/Net, RS-232/422/485 with 8 ports. Includes surge suppression.